Moving to South Carolina - Compare Movers & Save up to 70% ! Avoid the drama and avoid the stress when planning your international move to South Carolina. Simply place a request via Intlmovers in order to receive up to six independent and customized quotes for your international moving needs, no matter where you are moving from. It is easy to use and quick to get the answers you need about international moving and costs. Using Intlmovers online quotation comparison service is not difficult. There is a handy drop down menu that lets you easily click on your departure location and where you are moving to. Without delay, you are automatically issued with a list of up to six moving companies whose profile matches your moving criteria. It could not be easier! After filling in the basic request form with a few details about your moving needs, your request is sent immediately to the nominated moving companies. They receive you request directly and will respond to you individually. No chasing, no hunting, they provide you with their quotes so that you can then take your own time to compare options and make a better informed choice for your international mover. International movers on Intlmovers have reliable experience with moves to South Carolina. Your stress levels can be reduced when you hire an international mover to manage your logistics. Comparing international moving services is done in the comfort of your own home. South Carolina is the eighth state of the United States of America. Located in the south eastern part of the country, South Carolina covers an area of nearly 83 thousand square kilometres. The state has a population of close to 4.7 million people. Columbia is the largest and capital city of the state, and has a population of approximately 131,000 people. Charleston is the second largest with a population of around 116,000 people. Other major cities include Greenville, Spartanburg and Florence. The state has a total of 46 counties. Although South Carolina is classified as having a subtropical climate, inland from the coastal areas of the state receive less humid conditions with lessened influence from the ocean. Summers are generally very warm with high levels of humidity and temperatures average in the low 30’s (Celsius). Although rain falls consistently across all areas in the state, March is typically the month that receives the most rain. In general, winters are mild and dry with average temperatures of 15 degrees (Celsius) although inland is often much cooler than coastal regions. Excluding the elevated northwest inland areas, snowfall is rare or minimal for many areas across the state; however during cold winter months it is common for areas to have special warnings for drivers regarding the dangers of iced roads. Textiles and farming historically formed the basis of the economy in South Carolina for many years. In more recent years, other areas including chemicals paper milling and other industries have been major contributors to the state’s economy. The port of Charleston has been significantly enhanced over the past few decades, as well as that in Georgetown, both of which being important assets to the state and provide extensive employment for its residents. There is no reason to concern yourself when requesting quotes with Intlmovers, because all the companies that promote their international moving services with us have many years of extensive industry experience in shipping, logistics, transport and customer service. They look after you and they look after your goods. Their experience is your peace of mind. 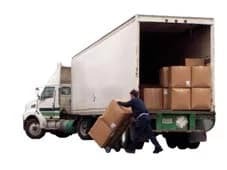 When you request quotes with Intlmovers, it can make it a much easier process for you to work out your options, as well as working out your budget. You can review quotes at your own tempo and by comparing a number of quotes at the same time, see which offers the best value and best suits your plans and budget. Accept a quote if you receive one that fits your needs, but all quotes are provided to you obligation free!